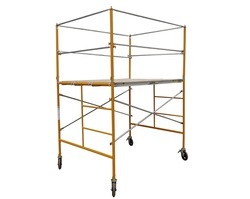 With our large inventory, we supply you with scaffolding to meet your specific needs. Our professionals will install your scaffolding and dismantle it when you're done. We get our scaffolding to where you need it. Lionsgate is a Canadian Owned and OPerated Scaffolding company established in 2013.
customer satisfaction is always our number one priority as we are constantly striving to improve all aspects of our services. You can rely on our experienced and KNOWLEDGEABLE staff to keep projects on time and on budget. We take pride in our quality of work and standards in the construction industry. we are always willing to find solutions to every project. Our name derives from the lionsgate bridge, which gets its name from "the Lions", a pair of mountain peaks along the north shore. ​The lion symbolizes strength, courage, and leadership; qualities that embody what Lionsgate Scaffolding strives to be within the successful and growing Vancouver community.